Victoria Real Estate Voice: LIST OF VICTORIA HOMES AVAILABLE TO MOVE INTO FOR THANKSGIVING! Do you need to find a home in Victoria to move into Quickly... Now and Before THANKSGIVING?? Good News, currently there are 63 Homes in Greater Victoria available for immediate possession. Just Imagine this THANKSGIVING being settled in your New Home, it’s possible, Call me Fred Carver Top Victoria Realtor 250-413-7042 and start packing, I can certainly help you find your next dream home to move into before this THANKSGIVING in Victoria. Here is my list and neighbourhood Break Down where there are approx. 63 Homes currently available for a quick possession. There is something here for everyone needing a Home in Victoria BC for immediate possession before our October 12 Thanksgiving Dinner! 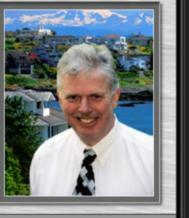 Call Fred Carver Top Victoria Realtor 250-413-7042 to View Victoria BC Homes that meet your needs. Then Pack Your Bags!! LIST OF VICTORIA HOMES AVAILABLE TO MOVE IN NOW BEFORE THANKSGIVING!!. Fred, sure looks like buyers have lots of options and can have their Thanksgiving Dinner in their new home! Hi Joan Cox It's only 6 weeks until Thanksgiving in Canada. In most cases Buyers will need to look at homes where they can get a quick closing and possession. I have a list of 63 Homes throughout Victoria that offer Victoria home Buyers a quick possession. As we head closer to Thanksgiving the number of available homes offering a quick possession will fall off fast.